It’s official! The Youngs have finally taken our first camping trip of the year. With the mountains covered in snow, we spent our first trip camping in the desert. This year, the Colorado Mountains got a ton of beautiful powder, extending several resorts seasons into late spring. This may be exciting for all the snow bunnies out there, but this does take away from the early camping season. Obviously, expert outdoorsmen have perfected the art of camping in the snow, but it’s not something I care for myself. I’d rather hit the slopes on the wintery months. However, this doesn’t mean that you have to completely rule out camping in March or April during chillier years. I love to go camping in the desert. 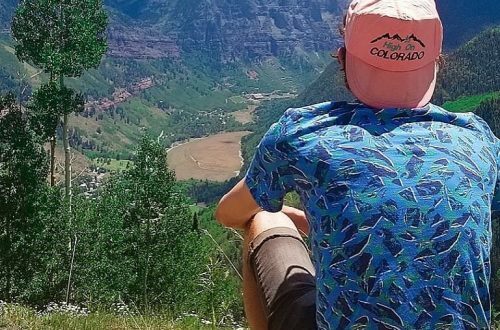 I know I’m a bit spoiled since I’ve spent my adult life in Utah and Colorado. From both cities I’ve lived in, I’m only a few hours away from some of the best deserts in the world. 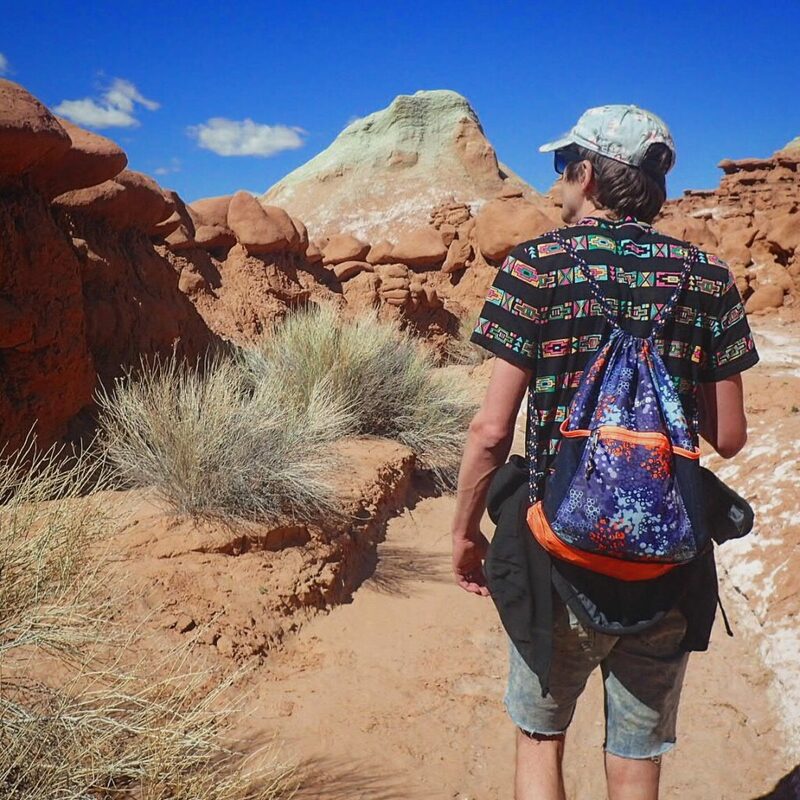 Have you ever been to Moab, Utah? It is AMAZING! I definitely have spent my fair share exploring these beautiful desert landscapes throughout the years. Hell, we have our annual Moab trip coming up in just a couple months. If you’ve already been to Moab and want more Utah adventure, I highly recommend Goblin Valley. We were just there a few weeks ago and it always blows my mind away. When I was in college, everyone went to Goblin over the spring. It’s only three and a half hours from Salt Lake City and sports unique rock formations while lacking the crowds of more popular parks. Only a few people in my new city Denver know of this place, but those who know, know. You need to check this out. Ok, so now that I’ve gotten you excited about camping in the desert, let me tell you how to make this trip successful. The desert has unique challenges that may make your camping trip a bit more difficult to the untrained camper. I’ve been camping in the desert for years and I’d love to pass down the information that I have learned to make sure your first trip goes well. Much like you may think, desert get hot and dry in the middle of summer. Even in regions with high elevation deserts, where temperatures seem lower than you’d think, it feels hot. That is because with high elevation, the sun is amplified, so the balmy 75 or 80 degree temperature near the ocean feels a whole lot warmer than the temperatures suggest. Couple that with the general lack of shade or cloud coverage since it often doesn’t rain too much, and you’re in for quite a hot camping trip. With that said, there is an ideal time to do these deserts. I suggest visiting desert landscapes in the spring and fall before temperatures hit their peak. Like with any camping, definitely check the weather prior to heading out but usually, these regions are nice around late spring. My favorite time for Southern Utah is April and May. March is give or take depending on the year. 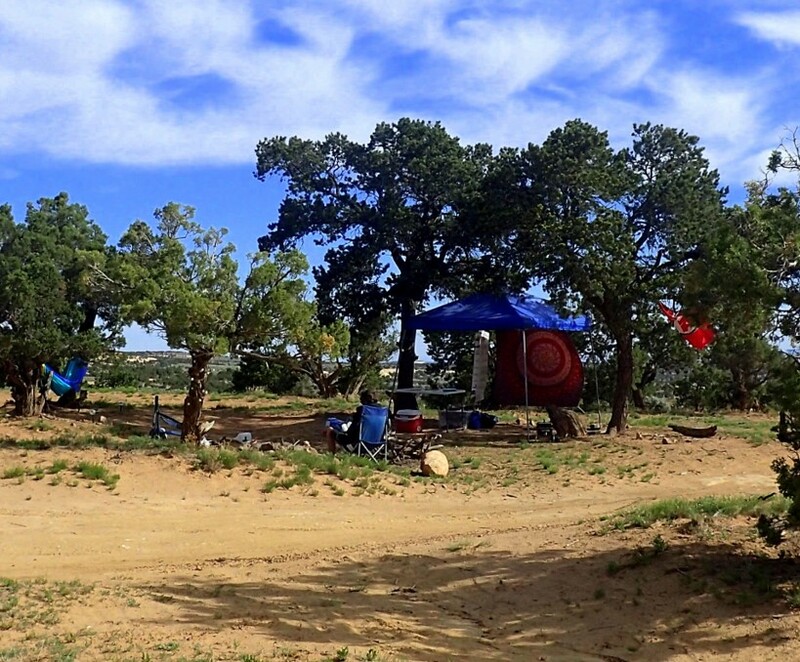 Camping near Phoenix, Arizona is dry and warm most of the winter so you can go camping in late winter/early spring. Obviously, it varies between exact locations but usually these times are best. You never really know what you’re going to get, especially when camping in that ideal desert camping time. This is true in most camping scenarios but deserts tend to be a bit more extreme. Like I mentioned before, it tends to get pretty toasty in the desert during the day. Prepare for this by wearing sunscreen and bringing a ton of water. Not to sound like my mother-in-law here but this is not the time to skimp on the sunscreen. Tanning (while obviously risky but we don’t need to go into that right now) is best saved for the beach and low elevation. You don’t want to sunburn while camping in the desert. Go with the higher SPF. This is especially the case if you’re in high elevation deserts. I’ve made this mistake. Don’t be like me. Also, you want a lot of water. I usually go with a gallon per person per day but you may want to bring a bit more, especially if you are drinking. It’s better safe than sorry. Deserts are dry by nature so you’ll need much more water than you are used to. You could hit a massive wind and sand storm. Almost any time I desert camp, there is wind and with the lack of water, this could create a giant dust storm. Imagine Burning Man but at your campsite. It’s really not too big of a deal if you prepare properly though. Much like at the infamous festival, use bandanas and glasses to prepare for a sand storm. You don’t want to be coughing out sand all day and lord knows how terrible it is to constantly battle sand in your eyes. I used to wear contacts so this would often be a disaster. Also, put things away and locked down throughout your camping trip. 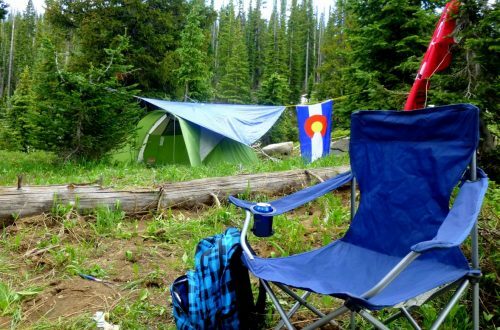 The wind can hit unexpectedly so if you can leave something in the car or tent, it’s best to do so. This will keep your things from being covered in dust and or blowing away. I also recommend setting up the rain fly for this reason. Yes, I know why it is super cool to see the stars when you sleep but if the wind hits, it can pull in a ton of sand in your tent. This happened last year at Moab. Plus, the sun is unforgiving in the morning so that beautiful night of stars can quickly turn into a bright gleaming wakeup call in the morning. Another wonderful mistake I will avoid next in the future. Lastly, make sure your stuff is securely weighted and staked down. Much like your random loose items, you don’t want your tent flying away in the morning. I think this goes without saying. So it may seem counterintuitive to prepare for precipitation in a dry desert but it does happen. And when it does, it comes with a vengeance. I’m talking mudslides and flash flooding. There is a pretty cool scene in Planet Earth II Desert Episode that shows this perfectly. While beautiful, you don’t want to be left in a dangerous situation. The best to prepare for this is to check the weather prior to leaving, but bringing tarps just incase. The biggest thing I can say about this though is to make sure you are camping in a proper location. 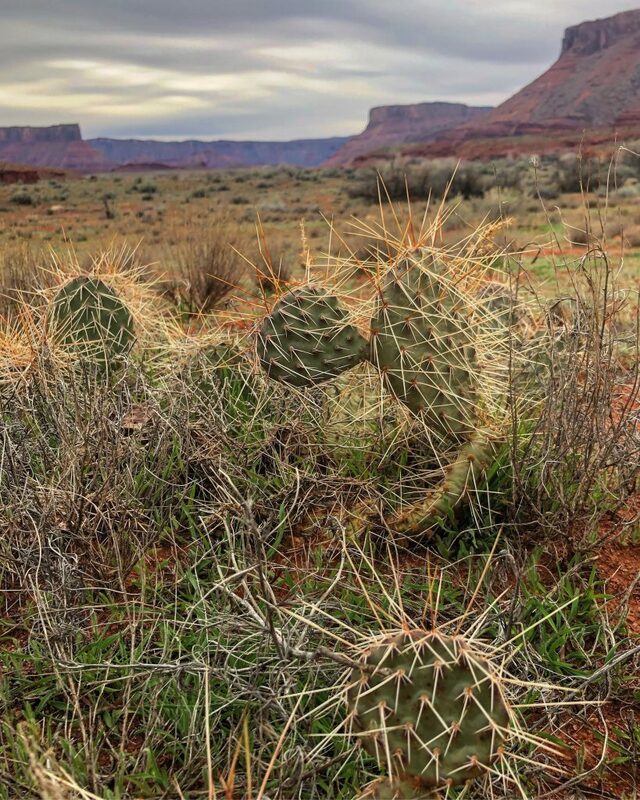 Usually while camping in the desert, you can find a ton of sweet dispersed BLM land. Because this is usually not an official site, use safe practices when selecting your location. Obviously, don’t pick a site that is marked to not camp at and avoid being too close to rivers that can turn dangerous with weather. 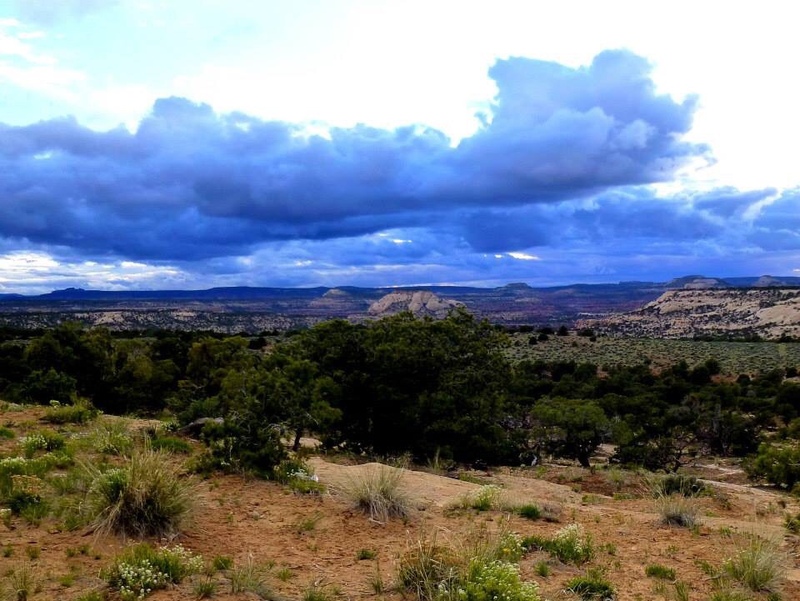 You can research dispersed camping tips on your county BLM site like this one or use my tips on finding the perfect site here. If you have never lived in a place with low humidity, you may not know about the drastic difference between the sun and shade. Basically, as soon as you find a shady spot, temperatures can drop several degrees. Not to worry though. This just means that you can use this knowledge to your advantage. 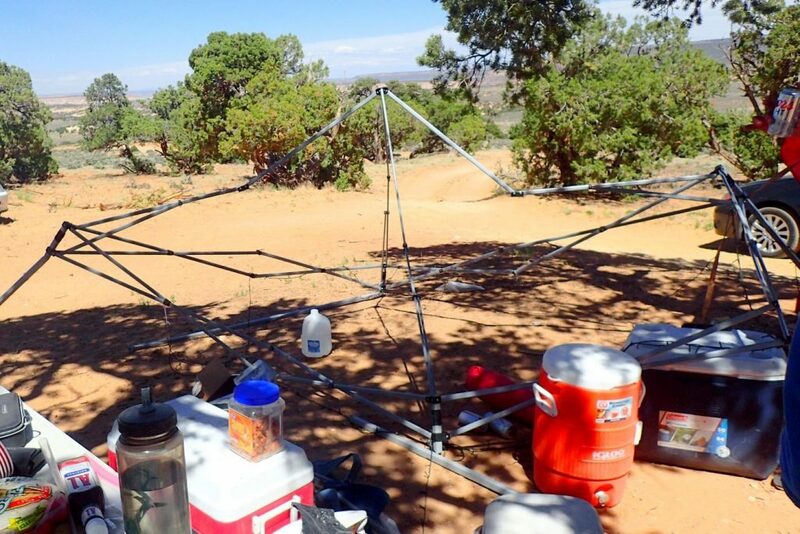 With that said, a great way to keep your site cool is to add some kind of shade structure. If you are talented with setting up shades, you can simply use a cheap tarp and rope or purchase some nifty sun shade system like this. However, because desert camping usually lacks the trees to rope your shades to, I suggest purchasing a free standing shade like this economical one. They are relatively cheap and require no skills to use. Simply pop this bad boy up, stake it down, and you are all set. Just remember that if it does get too windy, pull the legs of your canopy down and/ or take off the cloth until the storm passes. We didn’t do this and our shade broke. It was totally our fault for being lazy too. Don’t be like us. Save money. 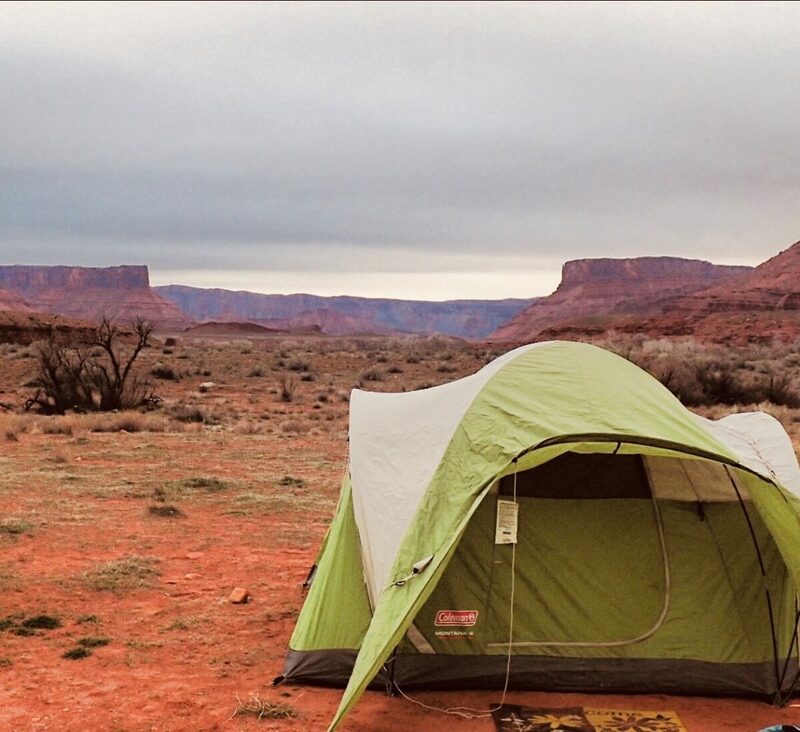 I personally believe you should always layer up with any kind of camping, but I find it more important while in the desert since the temperatures can really range. In the mountains, I usually can just throw on the heaviest jacket. The desert can go from hot to not in an instant. It is easier to control your temperatures if you have layers rather than a few big items. Layers are kind of just Camping 101 in my opinion. Obviously, when the sun goes down for the night, there is no longer any sun exposure. This means that it gets cold. Don’t under estimate how cold the night can get because it was warm all day. Because there is no humidity, there is nothing really trapping the heat from the day in so oncethe sun is gone, the heat gone. Oh how we’ve made this mistake before! Bring all the blankets and cozy layers to stay nice and warm. If you know me, I’ve raved on and on about my hated for cheap air mattresses and my absolute love for this beautiful sleeping pad that is graded down to 15 degree weather. This will help keep you warm in bed even if you don’t invest in the priciest sleeping bag. We mostly car camp so we just use a cheap double bag and several layers. 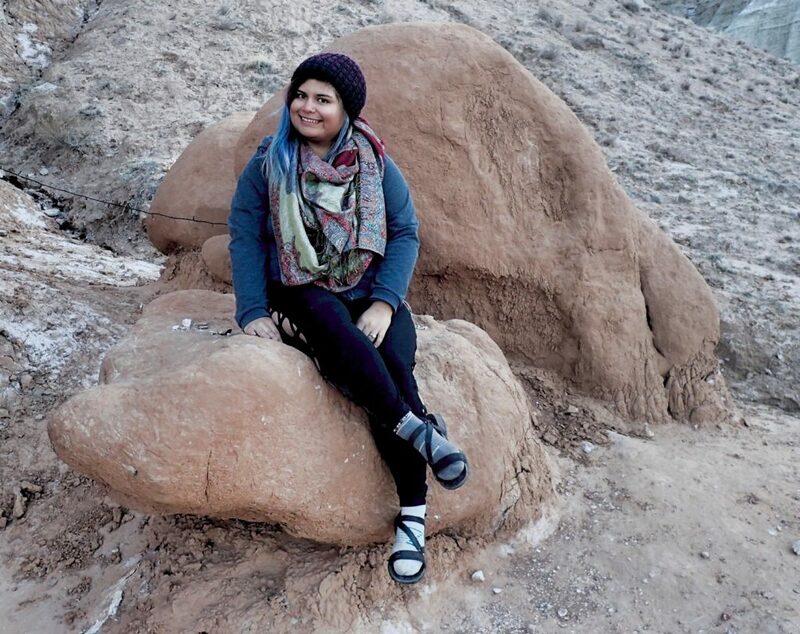 As I mentioned before, while camping in the desert, layers are the way to go. This goes for bedding as well. Temperatures are fairly unpredictable so it’s best to have options on warmth. 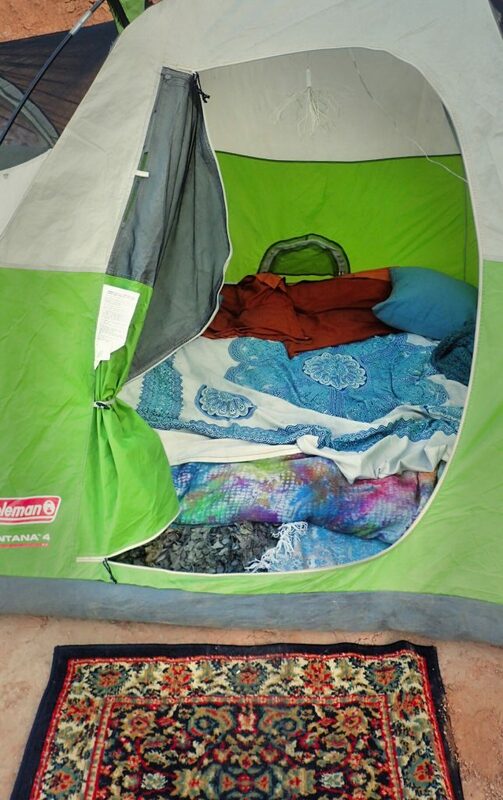 You don’t want your only options to be in sleeping bag or completely exposed. I always bring a beanie as well. You can stop heat from escaping out your head and it doubles as an eye mask if you pull it down. Don’t go camping without one. Lastly, I have finally cracked open one of my cool new camping gadgets I got from my wedding, this beautiful Little Buddy propane heater. It is sweet! It is completely quiet, has safety features like auto switches when knocked over or when the CO2 sensors are triggered, and it heats up quite nicely. I definitely recommend this if you want to extend your car camping season. As you may assume, wet wood burns a lot differently than dry wood. This means that you will have to adjust your campfire accordingly. For one, there usually isn’t any wood gathering around. Not only may it not be permitted, but there could just literally be none. This is the case at Goblin Valley. All your wood basically needs to be bought and you’ll want to reuse old newspapers to help with kindling. Second, the fire may burn quicker than you are used to in the forest. This is especially bad since you often have to buy wood and well, the wood is usually extra dry. If it’s particularly windy, this could make the fire go even faster. A way to prevent this is to make a smaller fire ring and build a wind block with rocks so less airflow goes through. Fires love air so if you take out some of that, it may slow down. 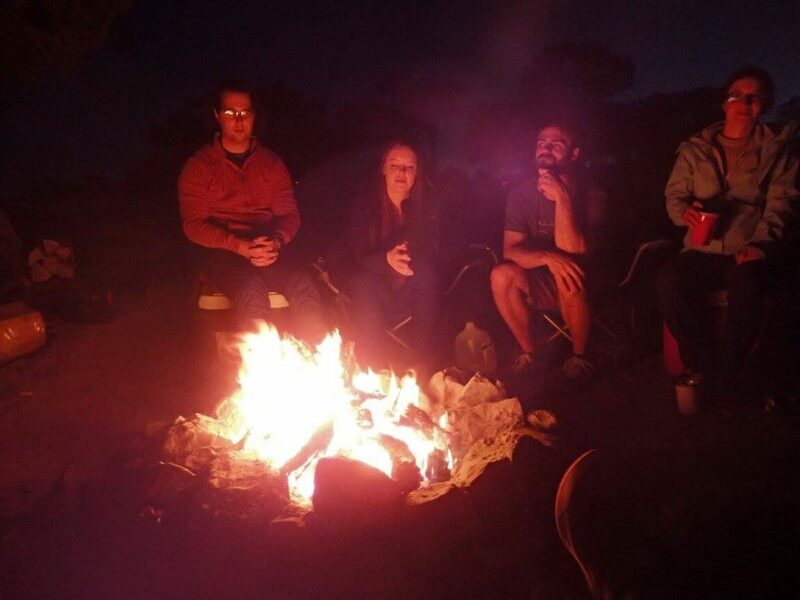 Lastly, you should anticipate campfire problems by preparing a plan b if it doesn’t go well. 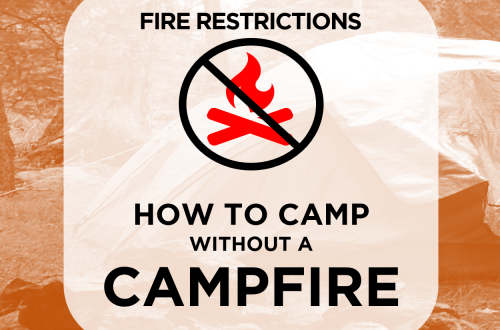 I’ve written a post about camping without a fire due to the fire bans but all these tips are just as relevant while camping in the desert where there usually aren’t any bans in place. Also, my Little Buddy heater that I mentioned before can double as a campfire if all else fails. I hope that my tips will help you go camping in the desert. Planning on camping in the desert any time soon? Do you have any tips that I left out? If you like stories like these, please subscribe to my blog.